Tyler, Texas is known as “The Rose Capital of the World”. 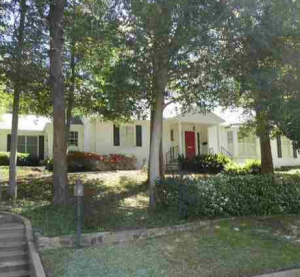 The Green Acres neighborhood of Tyler, Texas consists of homes built primarily in the 1950’s and 1960’s. It is a well-kept neighborhood of 921 households with a median income of $71,320. Green Acres is a close-knit family neighborhood with several schools within walking distance. Schools located within proximity of the Green Acres neighborhood include Andy Woods Elementary School, Hubbard Middle School, Robert E. Lee High School and Bishop T.K. Gorman Catholic School. Andy Woods Elementary School is offering Pre-K for the first time at the beginning of the 2013-14 school year. Andy Woods Elementary is home to grades Kindergarten through Grade 5. Hubbard Middle School and 6th, 7th, and 8th Grade students welcome new principal, Mr. Kevin Blain, as the new school year begins. Mr. Blain comes to Hubbard Middle School from Lindale ISD where he most recently served as Assistant Principal at Lindale High School. Robert E. Lee High School is a 5A-school, which is the largest class in Texas. Robert E. Lee High School offers a variety of Pre-AP and AP-level courses, as well as Career Technology Education programs and Fine Arts electives. The high school offers a wide range of sports programs, as well. Bishop T.K. Gorman Catholic School is a private middle and high school located on a 30-acre campus. Tyler Transit buses run daily, excluding Sunday’s and holidays. Paratransit service, a shared ride service, is offered by request, up to 14 days in advance. American Eagle links Tyler to DFW International Airport. Colgan Air United Express links the southern route from Tyler Pounds Field to Houston’s George Bush Intercontinental Airport. Greyhound Bus Lines has a downtown terminal, and Amtrak has a station in nearby Mineola. The Rose Festival brings thousands of tourists each year in October. The festival features a parade, coronation of the Rose Queen, and several other events. The Rose Museum features a history of the festival. The Caldwell Zoo, a vision of David King Caldwell, officially opened in 1953. Situated on 85 acres, the zoo has more than 2000 animals living in environments carefully created to mimic their natural habitats. Tyler has many museums including the Aviation Museum, Discovery Science Place, Cottonbelt Depot, Drive Through Safari, Center for Earth and Space Science Education, Camp Ford Historic Park, and the American Freedom Museum. Enjoy a world class symphony and ballet in Tyler, as well as national and international touring arts at the Cowan Center. Fishing, boating, and golf are favorite past times in the area. For the adventurous, take a ride on the longest zip line in Texas call the “Adrenaline Rush” stretching over 1,700 feet, or go skydiving at Tyler Pounds Field.